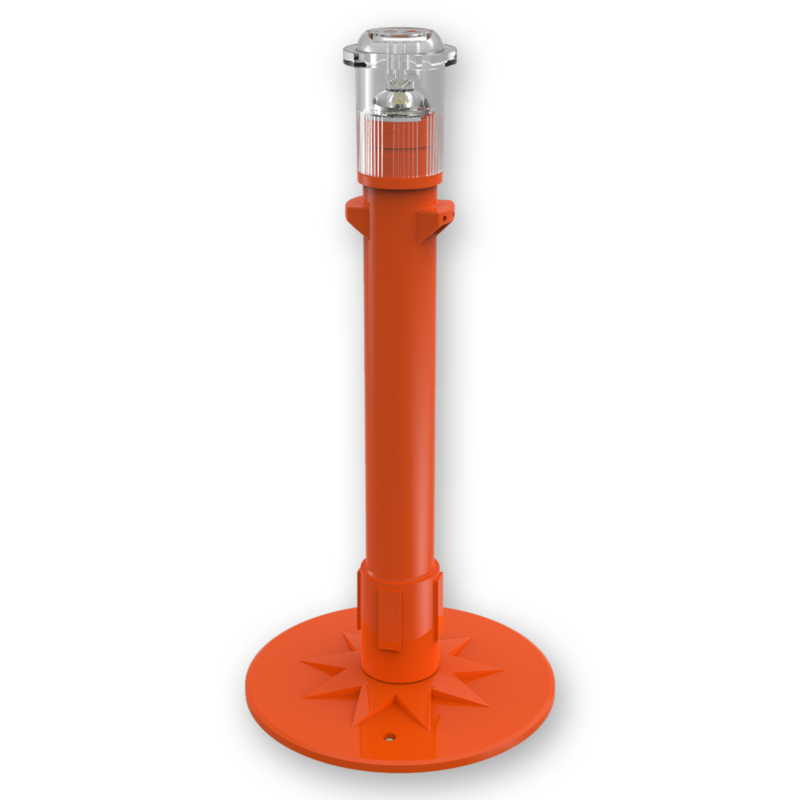 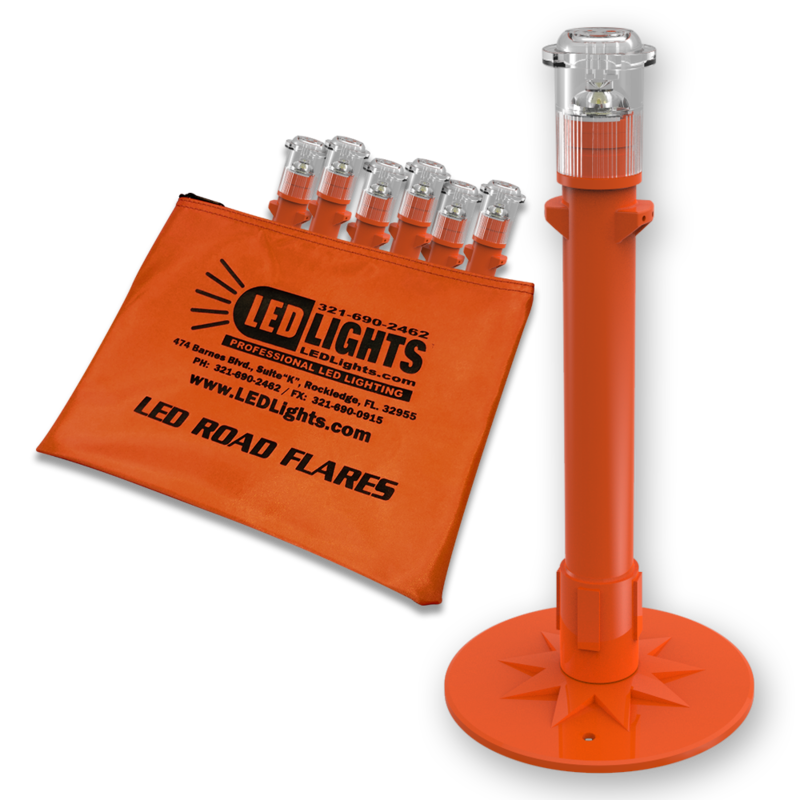 Model 9100 MightyFlare Stick™ Kit includes (6) Model MFSA LED Road Flares with (5) Flash Patterns, (4) Intensity Settings, ''AA'' batteries and Magnetically Attached Bases. 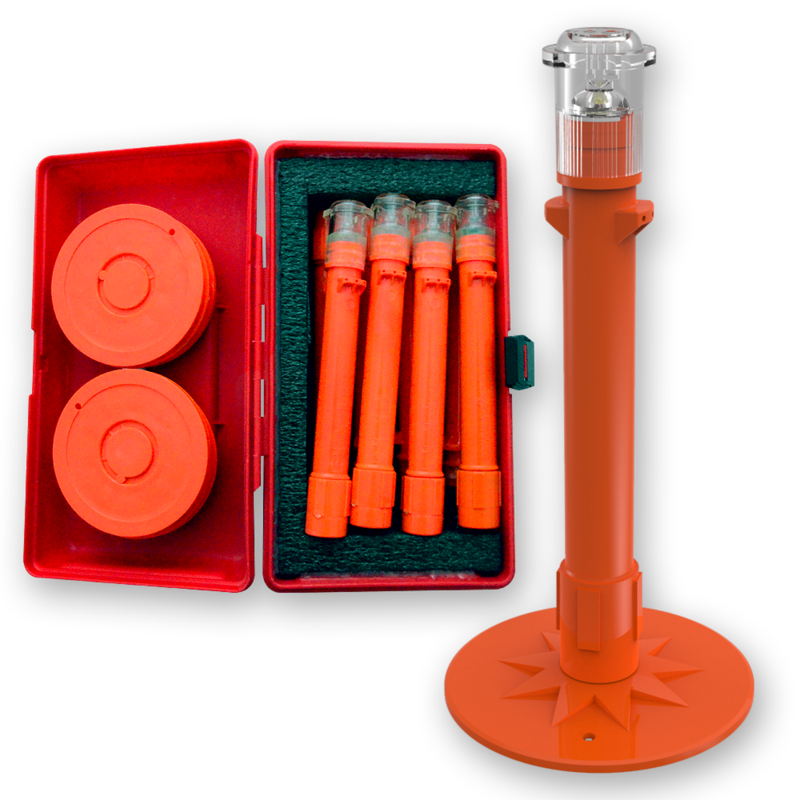 All in a Red Plastic Carrying Case. 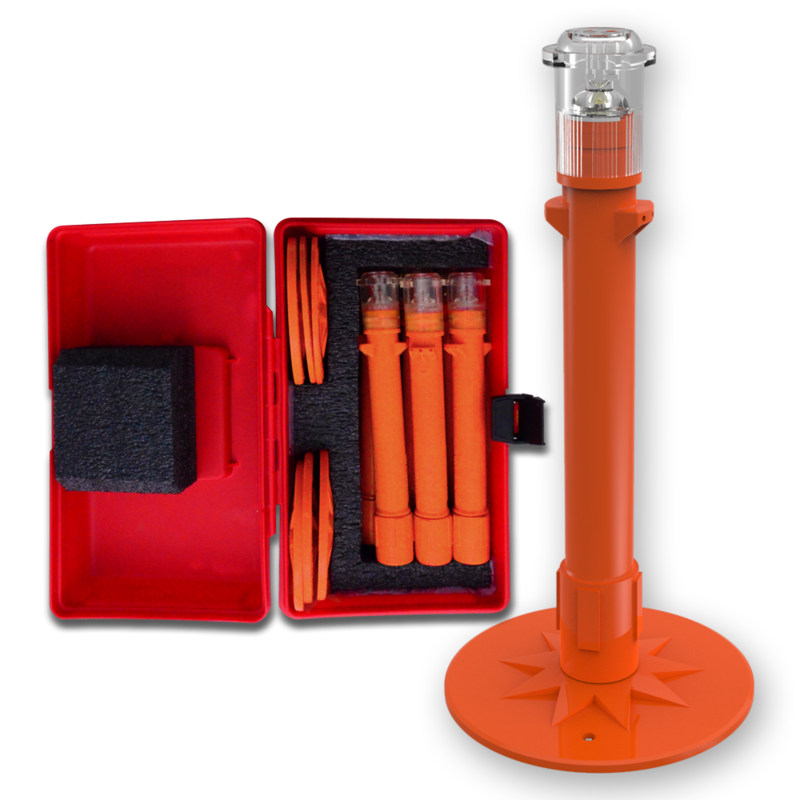 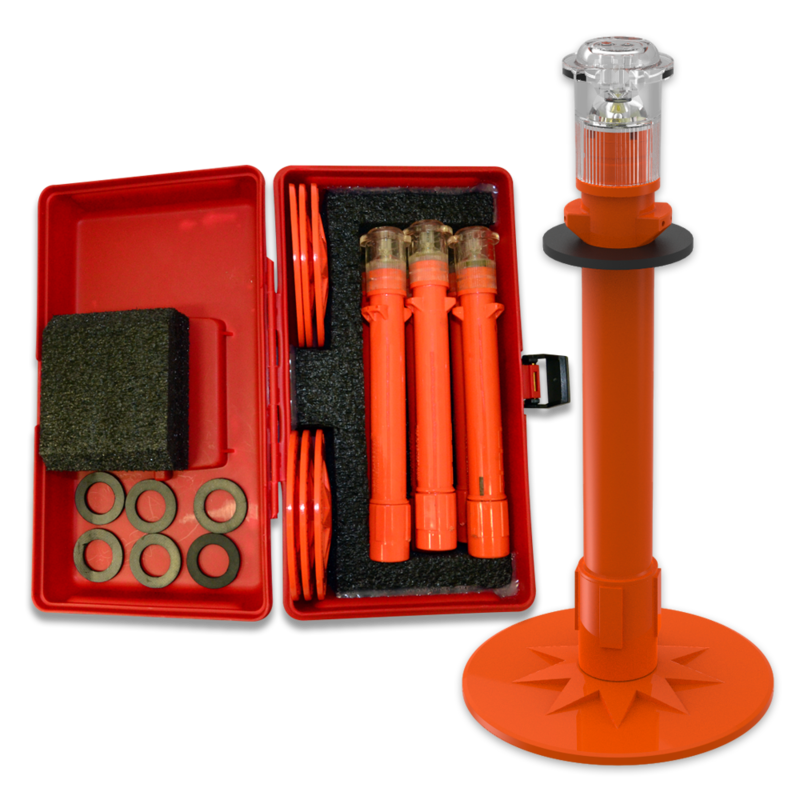 MightyFlare Stick™ Kit includes (6) Model MFSA Flashing/Steady Beam LED Road Flares with Magnetic Bases in a Red Plastic Carrying Case.